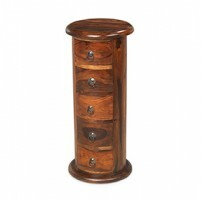 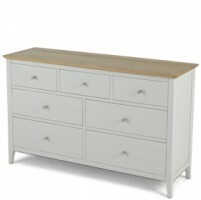 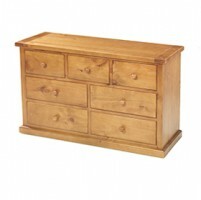 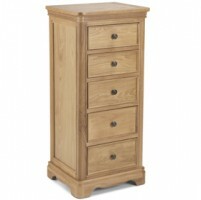 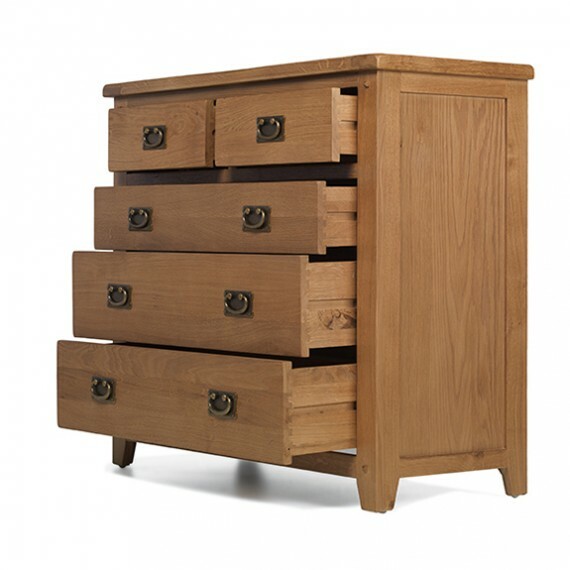 There'll be no more clothes stacked on chairs or at the end of your bed or in a corner, this visually appealing chest will hold plenty in its five dovetailed drawers. 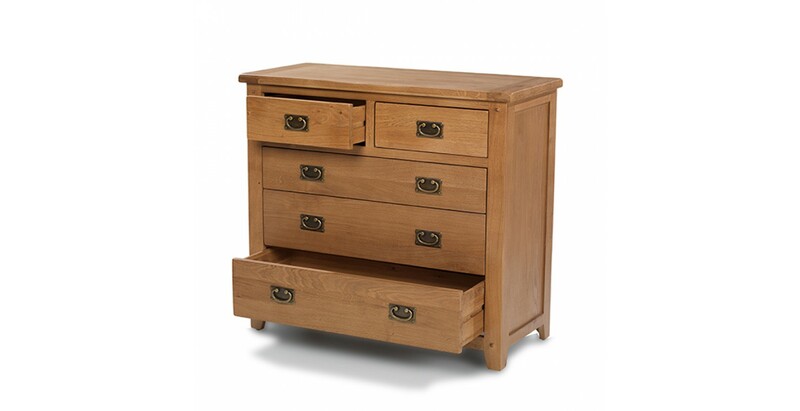 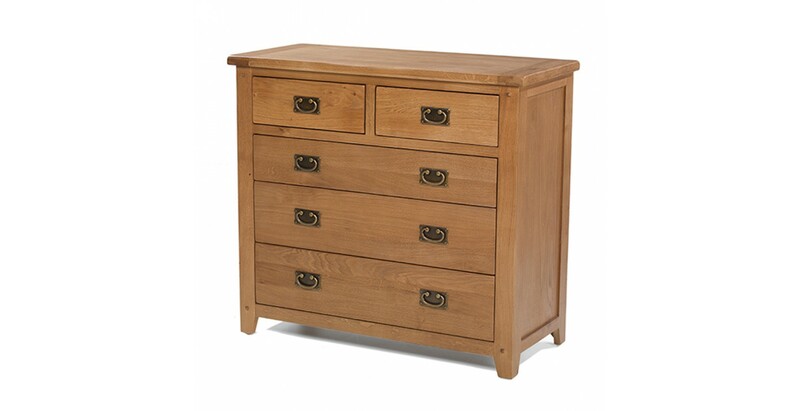 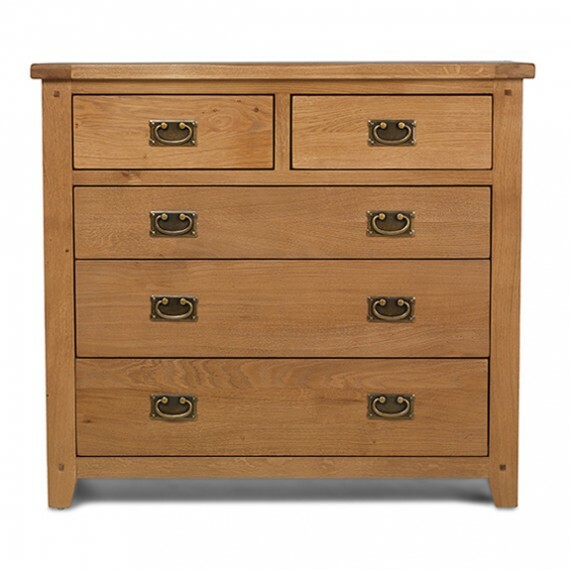 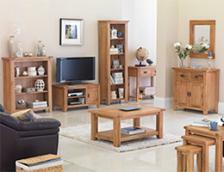 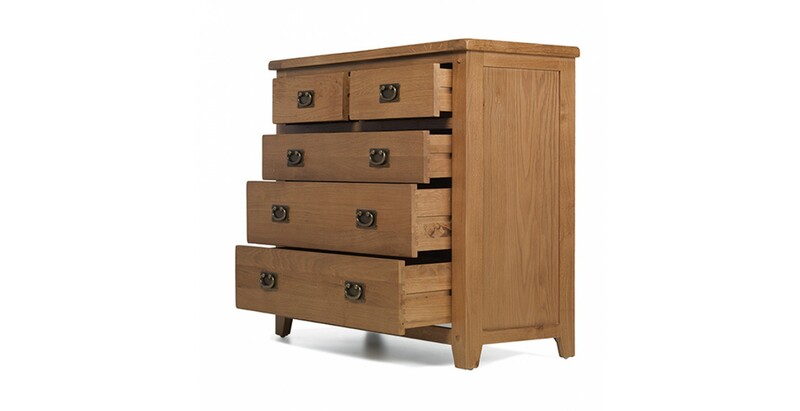 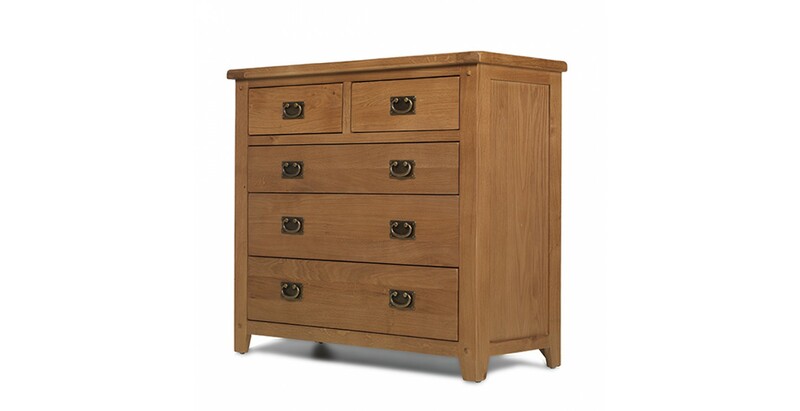 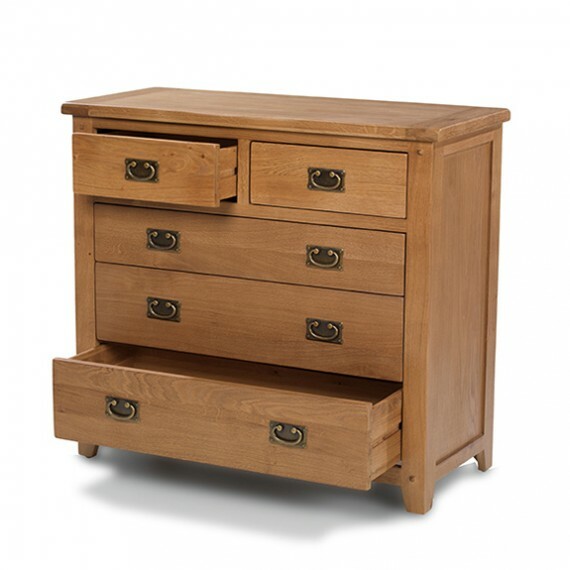 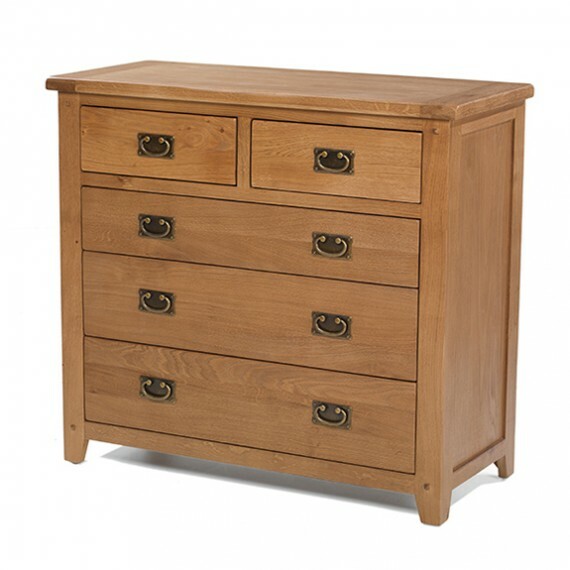 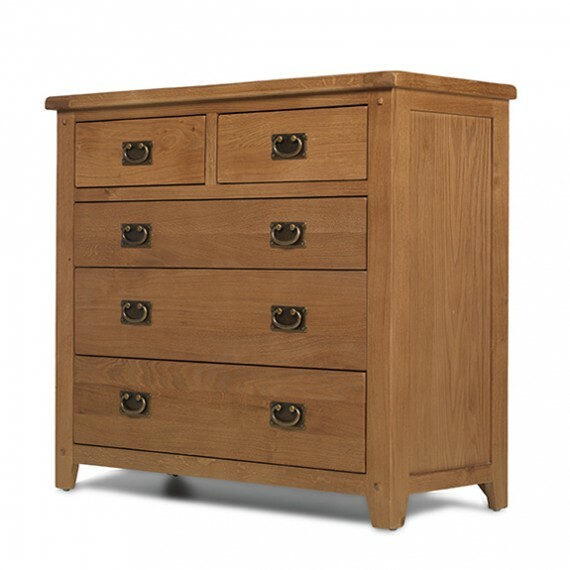 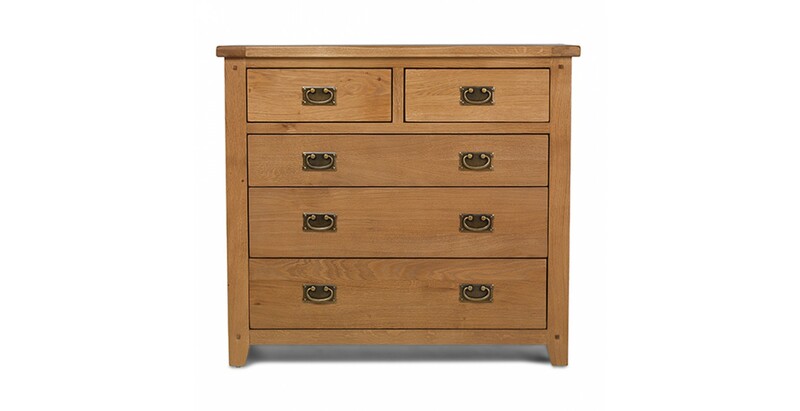 Made from thick pieces of oak, it has a chunky top, vintage-style drop handles with back plates, rounded-off corners and tapered legs all contributing to its country cottage feel. 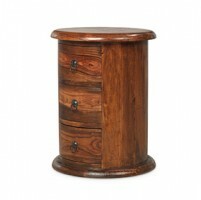 A natural lacquer has been applied to bring its warmth and distinct rustic markings to the fore.